The Smart Way To Travel To Music Festivals. 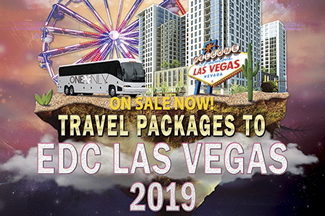 ONE N ONLY is committed to providing you with an unforgettable experience during your music festival travels; providing safe, reliable and affordable lodging and transportation accommodations. Rated the #1 travel package experience for over 8 years. Don’t settle for anything less than the best. Contact us today to ensure you and your friends are getting the best package possible. EDC LAS VEGAS 2019 TRAVEL PACKAGES ON SALE NOW! AUDIOTISTIC TRAVEL PACKAGES ARE BACK! Sign up today and be the first to know about upcoming trips. Experience music festivals like never before. Surround yourself with a family that looks after one another. After 9 years of experience, we’ve mastered it all. By going with a group, the cost of travel accommodations becomes cheaper. Stay at clean affordable hotels hand selected by our team. Choose between transportation to the event from select California cities or private party shuttles to the event. 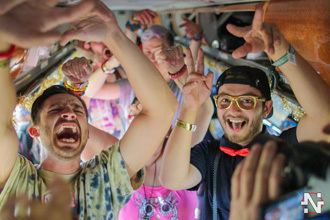 This page is dedicated to Electronic Dance Music Festivals in California and Nevada. Events in Unites States. We are a travel experience which is why our travel packages are bundled including hotel and transportation. Our team is present every step of the way on all transportation and at the hotel. Join our Marketing and Promotions Team! Music is ingrained in our DNA. Music festivals arise from the pantheon of society and we are here to give you the experience of a lifetime. Prehistoric man revelled in music through whichever form it could be acquired. Today, we are lucky to have the opportunity to experience music in a deep form. Without a doubt, music has helped shape our past and continues to shape our future. Individuals who take pleasure in music are scientifically proven to have a higher level of mental development. Essentially, we need music for the proper progression of our civilization. Individuals who listen to music are better contributors to society. Without music, our civilization would not be where it is today. What does ONE N ONLY have to do with our development? We offer the complete musical experience. We understand the important role music is playing in our society and we are here to take on the responsibility of delivering an out of the World experience to the pilgrims of music festivals. Our services go beyond just the transportation to a music festival or just accommodation. We offer a fully immersive development experience to anyone who is interested in mental growth through music. Music keeps us alive. We are responsible for numerous lifelong friendships, relationships, marriages, and positive evolutionary changes. We have brought together individuals from all over the World for once in a lifetime experiences. We consistently deliver an unrivaled cerebral enrichment to all our guests. In a nutshell, if you like music then come with us as we will take you on an adventure of a lifetime. Music makes the World a better place and we are here to give you the best experience as you attend a music festival. Our portfolio of festivals continues to grow year after year. We service the Electronic Dance Music Festivals in Las Vegas, the World Music Festivals in Nevada and California and specifically music festivals around Lake Tahoe and Northern California. If there is a music festival then there is a good possibility that we service it. If you are looking for a fully immersive music festival experience then you should contact us and we are happy to help you. We cover Music Festivals in Las Vegas, Music Festivals in Reno, Music Festivals in Lake Tahoe, Music Festivals in San Francisco, Music Festivals in Los Angeles, Music Festivals in San Diego, Music Festivals in the central valley and much more. Please feel free to email us with any questions. Music moves our soul and if it does the same for you then contact us immediately. WIN A FREE TICKET TO EDC LAS VEGAS!